A top Hillary Clinton aide's email was grossly misrepresented on Tuesday morning and twisted to suggest the Democratic nominee had "begun to hate everyday Americans." The false narrative was born when WikiLeaks published another batch of emails from John Podesta, the chairman of the Clinton campaign. In one message to Jennifer Palmieri, communications director for the Clinton campaign, Podesta wrote: "I know she has begun to hate everyday Americans, but I think we should use it once the first time she says I'm running for president because you and everyday Americans need a champion." It was clear from the context of the email that Podesta was referring to the phrase "everyday Americans" in the email, as he was discussing language for a speech Clinton was set to deliver in New Hampshire. "New Wikileaks emails released just moments ago include a shocking admission by Clinton campaign manager John Podesta that Hillary Clinton 'has begun to hate everyday Americans'." "The whistleblower organization dumped part 3 of its Podesta email release today and this has to be the most jaw-dropping revelation yet." Never to miss a negative story on Clinton, conservative news mogul Matt Drudge pounced on the supposed bombshell revelation. Drudge, whose website is one of the highest trafficked news destinations on the internet, promoted the misleading story as the banner story on his website. "ASSANGE DRONES HILLARY," his first headline read, in reference to Wikileaks founder Julian Assange. 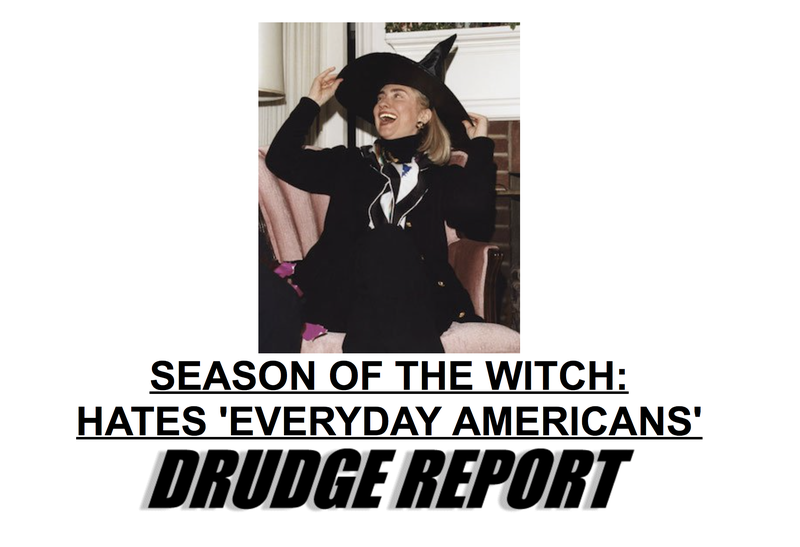 His second headline read: "SEASON OF THE WITCH: HATES 'EVERYDAY AMERICANS.'" Eventually InfoWars and Drudge realized the story they were promoting was grossly inaccurate. 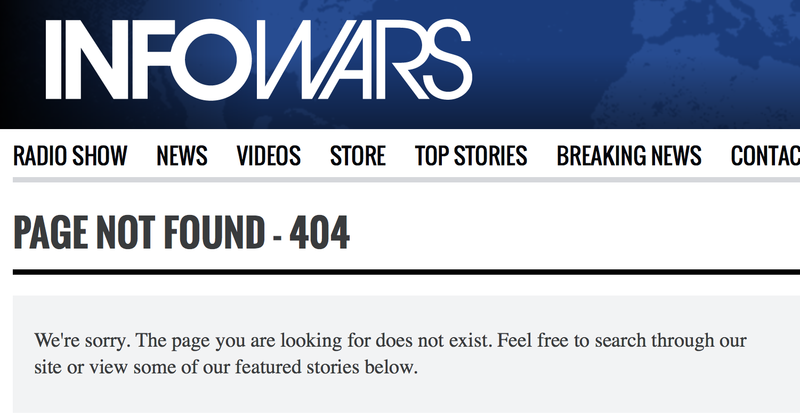 InfoWars deleted the story from its website. No editor's note was left behind, and readers were instead sent to a 404 page. Drudge simply scrubbed the headline from his page. Melania Trump, Ivanka Trump, Eric Trump and Donald Trump Jr. stand before the presidential town hall debate between Republican U.S. presidential nominee Donald Trump and Democratic U.S. presidential nominee Hillary Clinton at Washington University in St. Louis, Missouri, U.S., October 9, 2016.